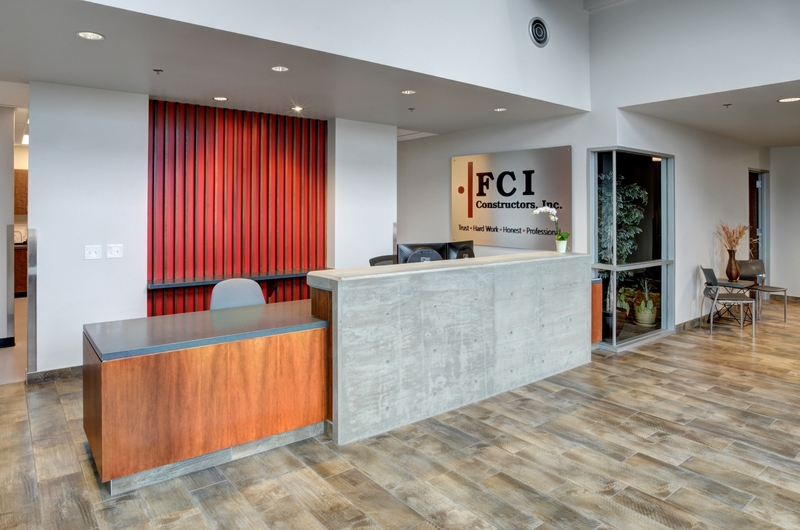 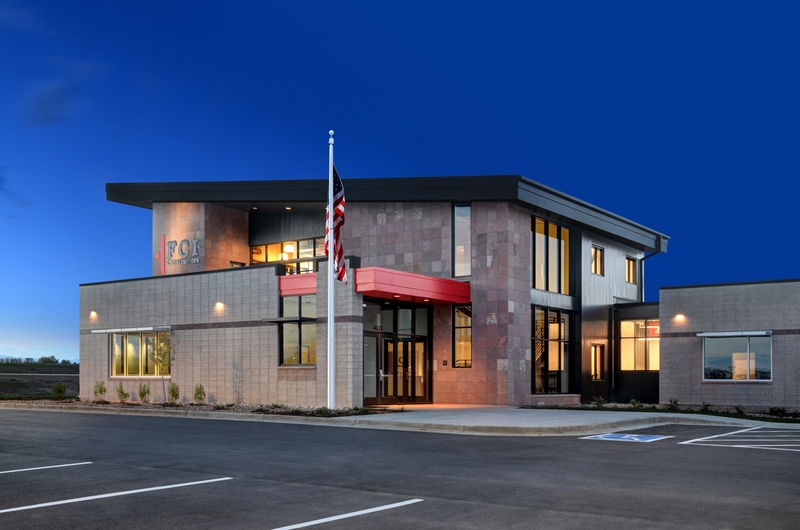 Frederick, CO | FCI’s new office building in Frederick was finished in 2016, and houses all office personnel handling Front Range of Colorado projects. 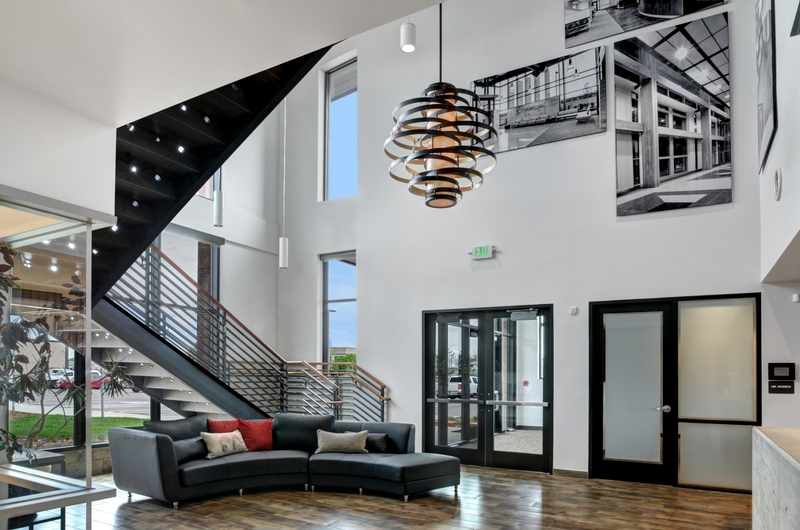 The 12,000 SF office building features high-efficiency mechanical and lighting, with extensive daylighting. 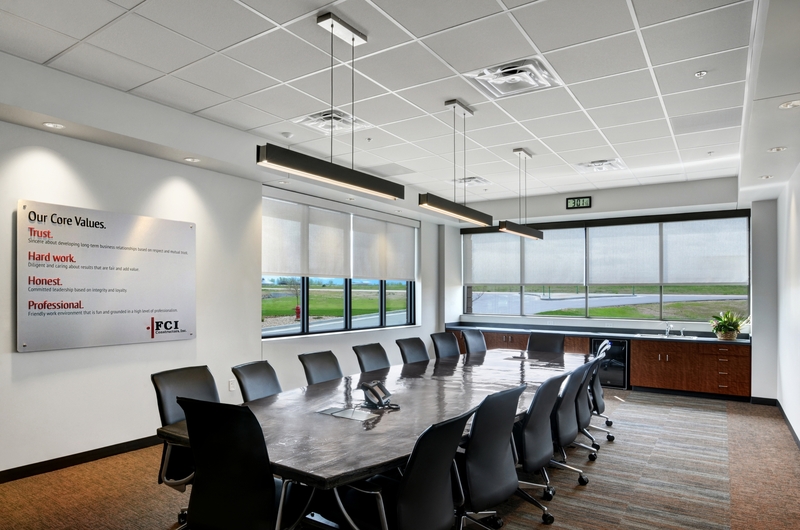 The second story includes a glass-enclosed conference room with a mountain view, and the employee commons area and workout room. 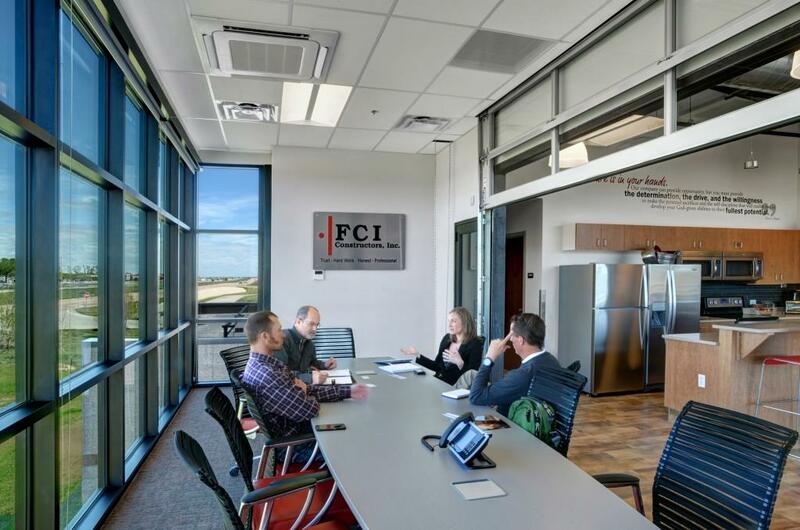 The first floor is made up of offices, cubicles and small and large collaboration spaces. 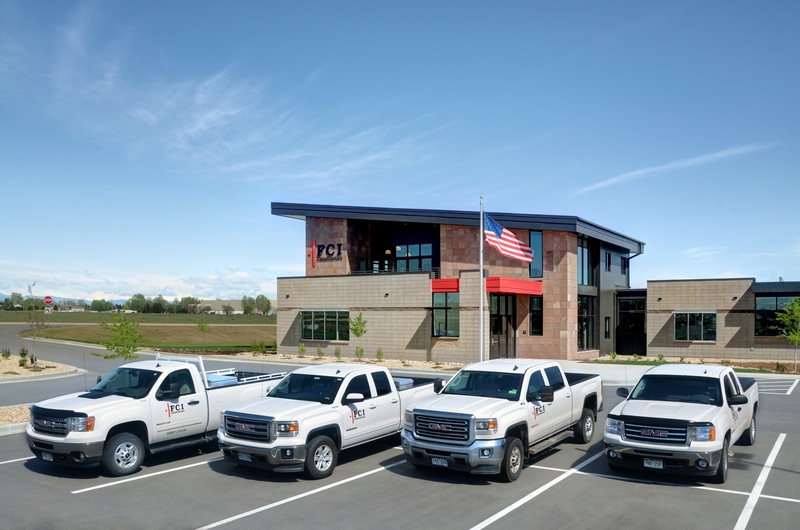 Adjacent to the office building is the 4,000 SF shop building and exterior yard for equipment and material storage.